Welcome to the web site of our journal, NEUROANATOMY.org. NEUROANATOMY is an annual, peer-reviewed journal, having a dynamic international Editorial and Scientific Advisory Board. Articles for the journal are chosen by the editors and published in English to make it easier for international use and more suitable for cataloging in the scientific indexes. The basic aim of the journal is to present a medium where all people concerned with neuroanatomy will have a chance to introduce their neuroanatomy related reviews in an annual period. The continued interest for understanding the neuroanatomical basis of the clinical neurology has been a great inspiration definitely for all neuroanatomists, neuroscientists and clinical neurologists. 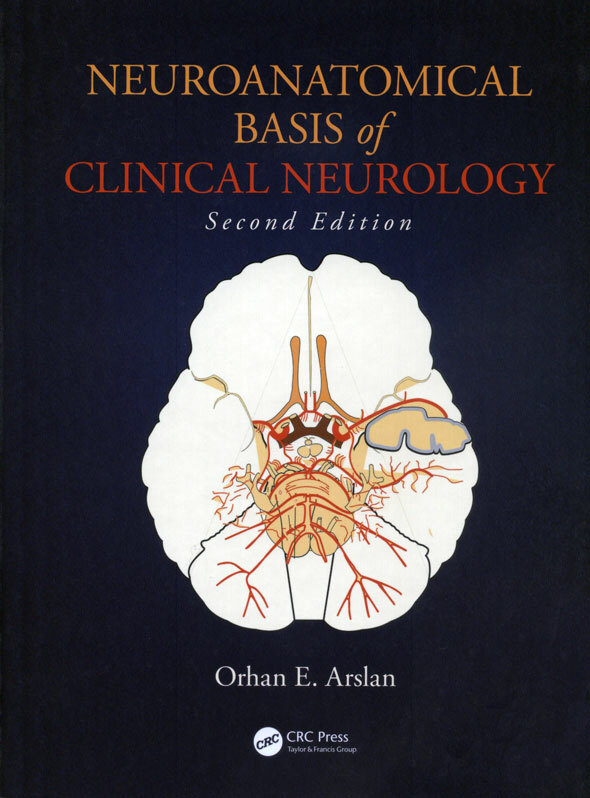 In this context, this book by Orhan E. Arslan, is an indispensible guide definitely not only for educators but also for medical students. It is remarkable in its presentation, illustrations and conception. It contains complete information regarding the organization and function of the human nervous system and highlights the principles underlying the neurological disorders. The presentation of the book is practical and attractive, most of all, it is wonderfully illustrated. The number, the high quality and the size of the illustrations composed of anatomical specimens, histological specimens, clinical pictures, MRI scans, angiograms, and practical diagrams are remarkable. The high quality anatomical specimens and related diagrams presented in parallel adding clarity, depth and relevance to the text and providing key clinical facts that wonderfully highlight the neuroanatomical circuitry and disorders. The book is totally 500 pages and divided into 8 sections including 21 chapters. The first section is “Basic Neuroanatomy” containing fundamental information on developmental aspects and basic elements of nervous system. The chapters in the second section “Morphological and Sectional Neuroanatomy” provide a fundamental analysis of the anatomy of all areas of the central nervous system. One of the strength of this book is to give substantial attention to the autonomic and peripheral nervous system in a separate section highlighting the major clinical disorders resulting from their dysfunction. The other sections contain chapters related with “functional neuroanatomy” specifically focusing on neurotransmitters, “special somatic sensations”, “visceral somatic sensations”, “general somatic sensations” and “motor system” with their structure, connections, functions and mechanisms in both health and disease. The suggested readings at the end of the chapters were updated with findings of the last decade. Recent advances covering the functional neuroanatomical basis underlying autism and dementia are also integrated to this new edition of the book after its first edition published in 2001. Additionally, various forms of cortical dysfunctions such as seizures, disconnection syndrome and coma have been significantly discussed. Substantial information on the auditory, vestibular, gustatory, limbic systems enriched with schematic diagrams is remarkable. The structural and neuronal chemistry of hippocampus and hippocampal gyrus has been given in details to reflect the significance of memory and associated disorders. The motor system has been handled with particular attention to understand the basis of the therapeutic approaches for movement disorders. This original, attractive, and richly documented book will be of great value not only to neurologists, neurosurgeons, physical therapists and anatomists who are interested in general concept of nervous system to have a better understanding of the brain and principles underlying the neurological disorders and also will serve as an indispensible guide definitely for all neuroscientists. NEUROANATOMY is indexed by SCOPUS, EMBASE, DOAJ, Ulrich Periodical Directory, Index Copernicus, NLM Locatorplus, and EBSCO. SJR indicator value of NEUROANATOMY which shows its scientific influence (impact) is 0.041 for 2009. Our readers may find this open access data in SCImago web site.